The services industry, the dominant sector of the Indian economy, grew at a six-month low pace in March due to slower expansion in new work, showed widely-tracked Nikkei purchasing managers' index (PMI). This affected jobs as hiring activity by services companies also hit a six-month bottom, with 94 per cent firms not even employing a single additional hand in this month. The seasonally adjusted Nikkei India Services Business Activity Index fell to 52 in March from 52.5 in February, indicating slowest expansion since last September. Separate PMI data for manufacturing, issued a couple of days back, showed that factory activities also grew at a six-month low in March. 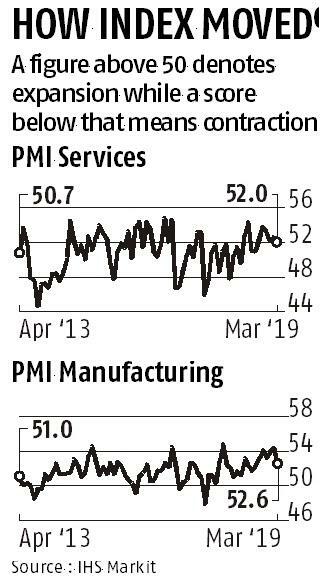 As such, the composite PMI output index, that maps the private sector activities, dipped from 53.8 in February to a six-month low of 52.7 in March. This pointed to a slower upturn in private sector output and rounded off a weaker quarterly performance in Q4 than registered in Q3 FY'19. PMI survey is based on the responses from the private sector. "Business expectations strengthened in March, indicating that services companies are hopeful that conditions will advance in the months to come. 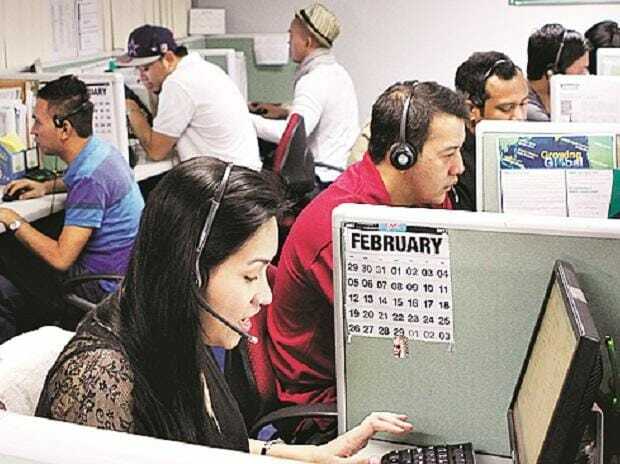 However, an anemic pace of job creation hints that service providers are not fully convinced about a shift into a higher growth gear," Lima said.